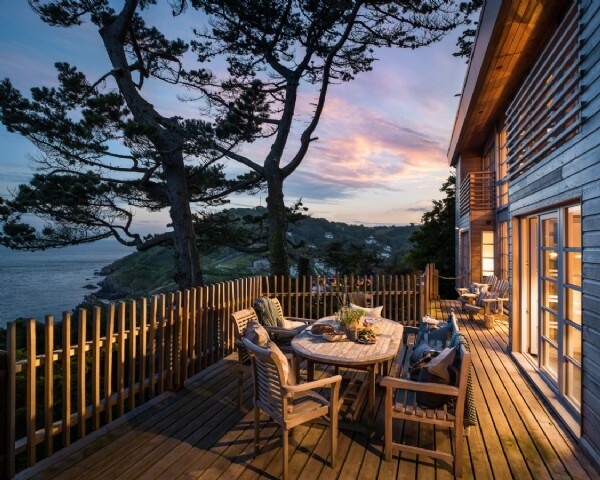 Cocooned by large Monterey pines and overlooking the open sea, Raffia enjoys a sheltered cliffside position above the quaint cove of Polperro on the south east Cornwall coast. 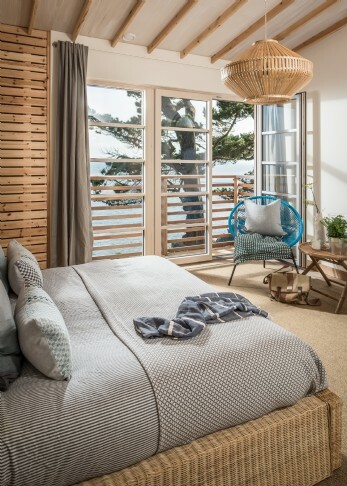 This luxury self-catering beach house is blissfully unplugged, with no distractions from the vast sea views. 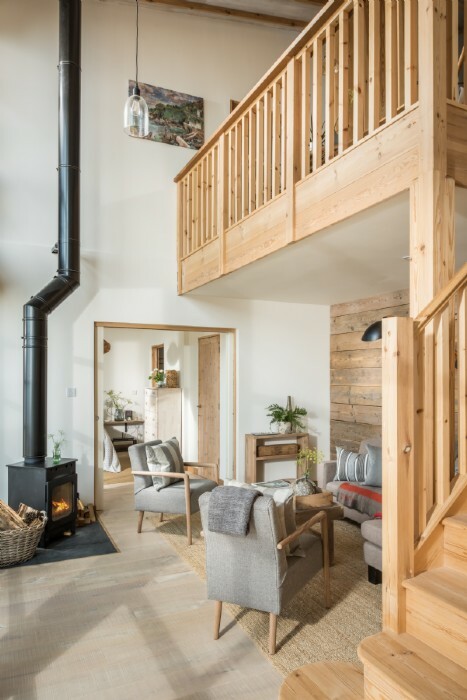 Accessed via quad bike or footpath, Raffia invites guests to escape the everyday and experience the luxury life a little off grid. 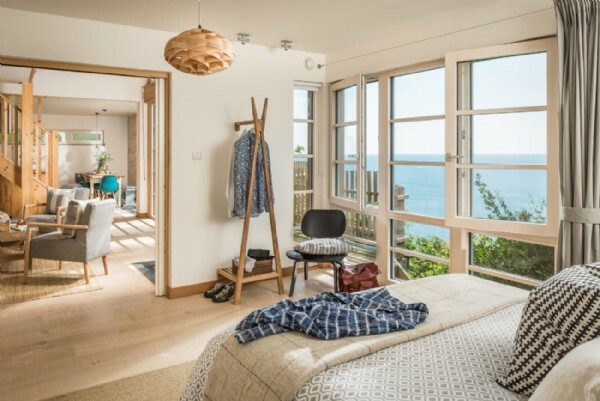 Approached via a steep, zigzagging path which tumbles down the cliff at Polperro in south east Cornwall, this luxury self-catering retreat embodies escapism. 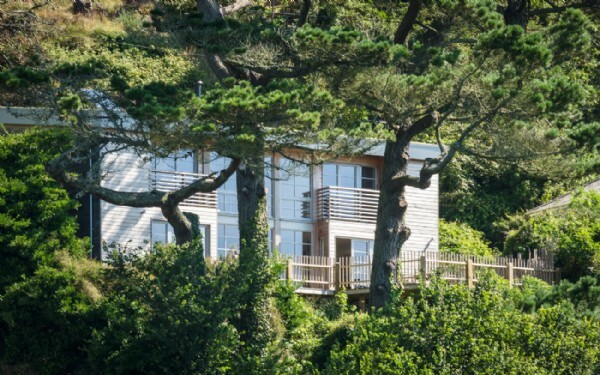 The unique dwelling started life as an army hut from nearby Whitsand Bay. 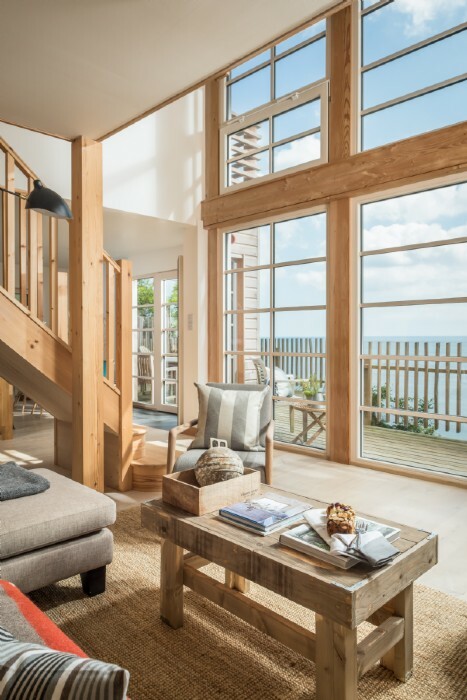 Years later the plot was cleared and Raffia was built onto the cliff at Polperro using a zip-wire lift to lower every last joist, rafter and panel. 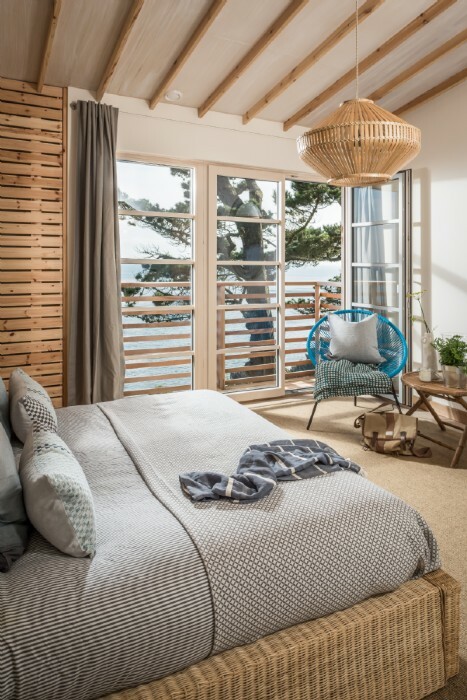 A beachy, Scandinavian style creates a relaxed interior, framed by floor-to-ceiling glass which leads to a wooden deck overlooking the glistening ocean below. 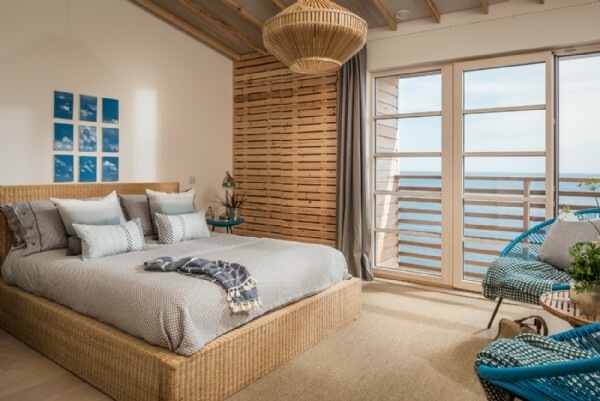 Raffia enjoys no distractions from the important things in life; allowing guests to embrace the luxuries of nature, space and time in the company of loved ones. 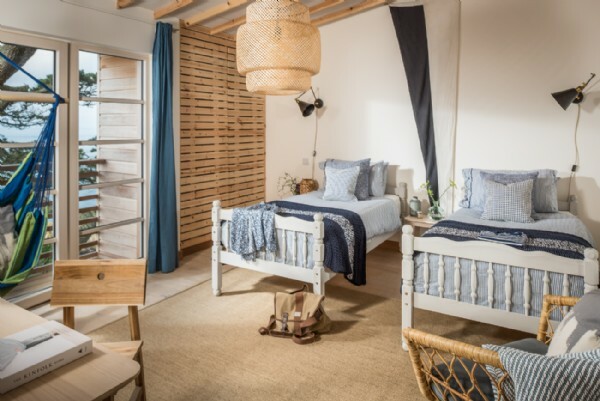 Raffia's front door leads to the first floor gallery, on which sits the twin bedroom and king-size bedroom with en suite bathroom, plus a family bathroom with bath and overhead shower. 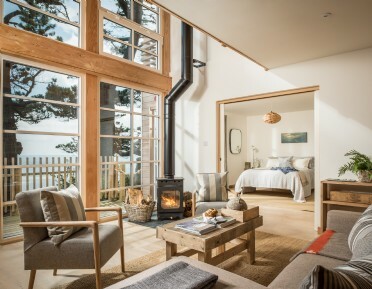 Each bedroom is large and luxurious, with floor to ceiling windows and washed oak floors affording a cabin feel. 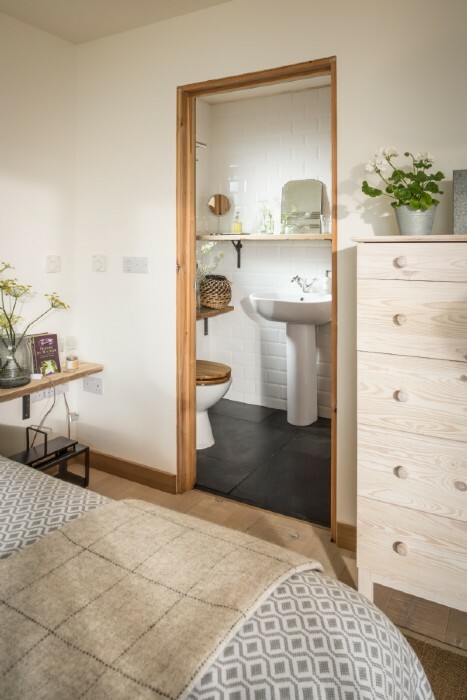 The ground floor features one king-size bedroom with en suite shower room, opening out onto the open-plan living space. 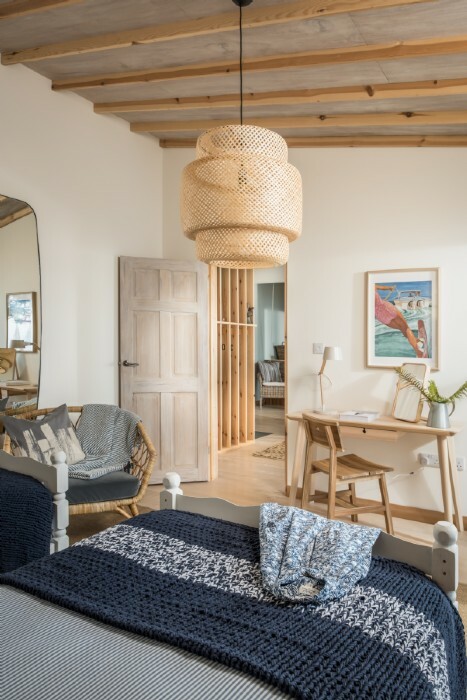 The house is set above Polperro harbour; a quaint fishing village with a lost-in-time appeal one can't help but fall in love with. 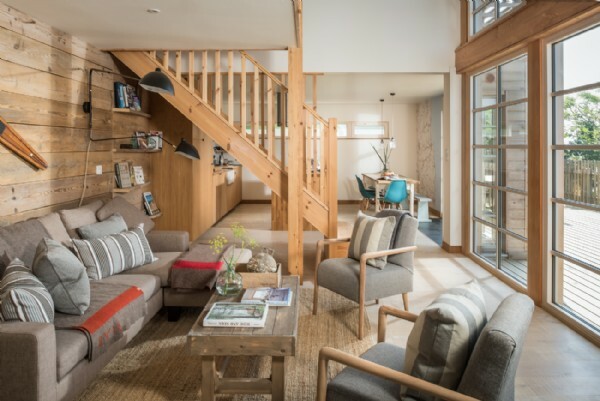 Walk from the house along the coast path to discover the warren of narrow alleyways, cottages and boat houses that combine to make this old smuggler's hideout so quintessentially Cornish. 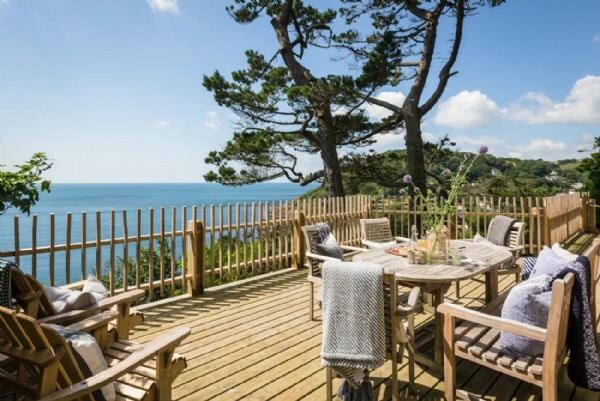 Whether swimming in the shallows of the harbour or exploring the popular towns of Looe and Fowey nearby, there's myth and magic hidden around every corner. 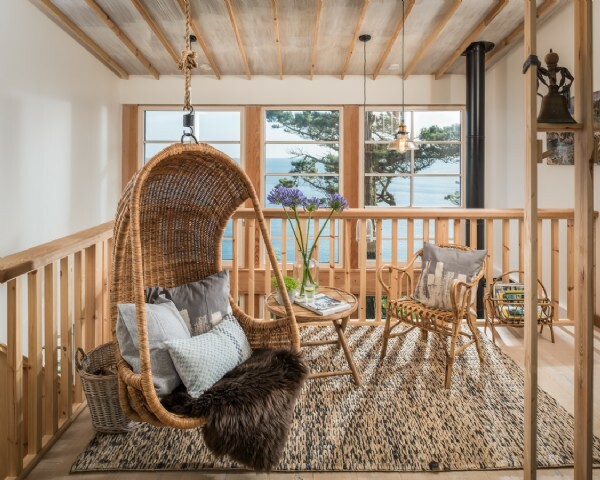 With no television (though there is a projector screen for family film nights), guests can while away time reading, painting or simply hanging in the swing chair listening to the radio whilst the ocean glistens away alongside. 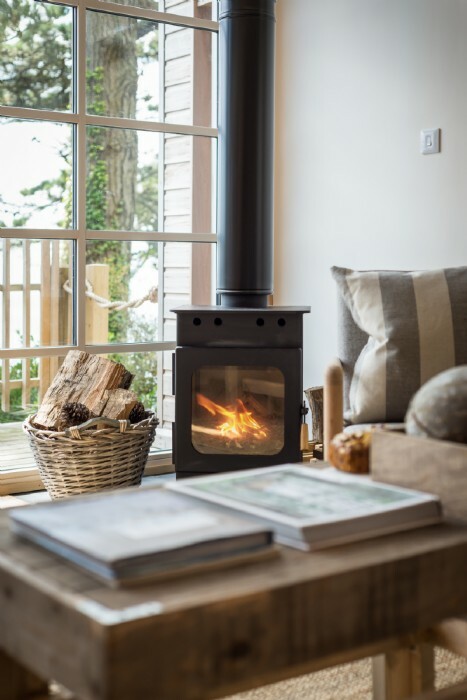 There's wool blankets for wrapping up on the deck on cooler days, and the woodburner hurls out warmth for guests staying during the crisp, Cornish wintertime. 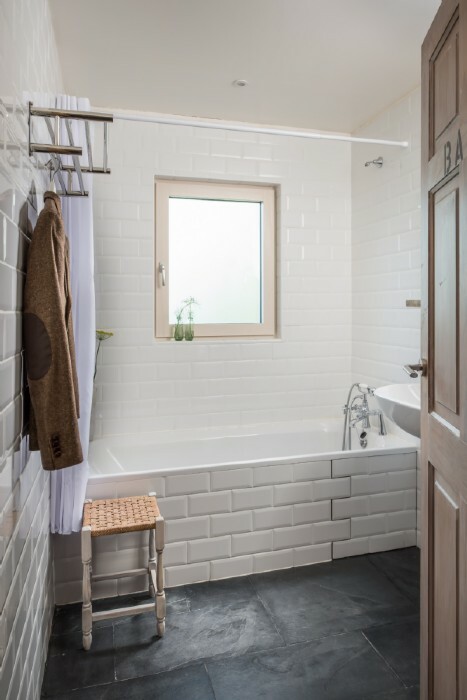 The lack of buzzing technologies and clever merging of indoor-outdoor space gives an authentic 'retreat' vibe, where relaxation reigns. 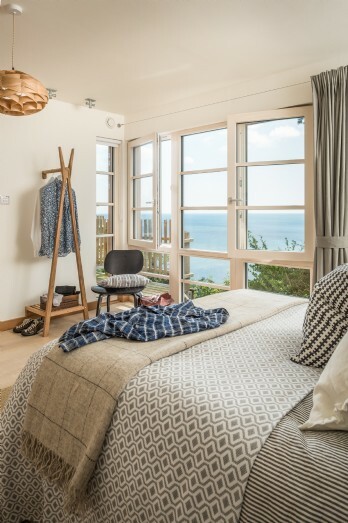 There are three parking spaces at the top of the cliff and a steep zigzag path leads down to the property, so please note that the access may not be convenient for those with limited mobility; backpacks and trainers will be more suitable than cases and heels! 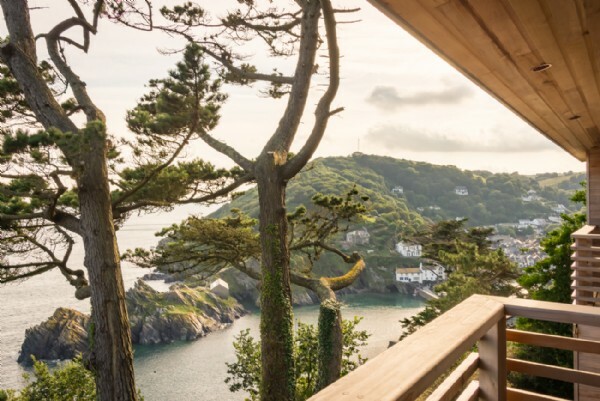 Guests can also contact the regular quad bike taxis in Polperro, who offer a complimentary service ferrying luggage and passengers up the cliff directly to the house. 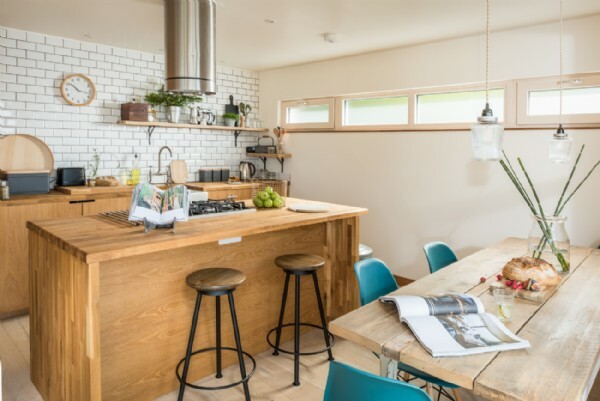 The kitchen benefits from an electric oven with gas hob, a large fridge freezer, microwave and dishwasher. 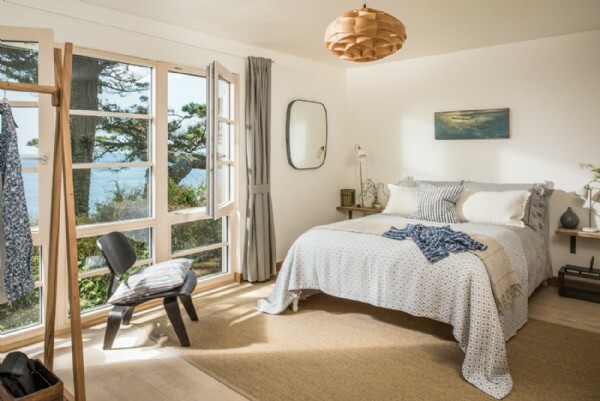 Style: With strong Scandinavian influences, this coastal retreat has a clean, pared-back aesthetic. 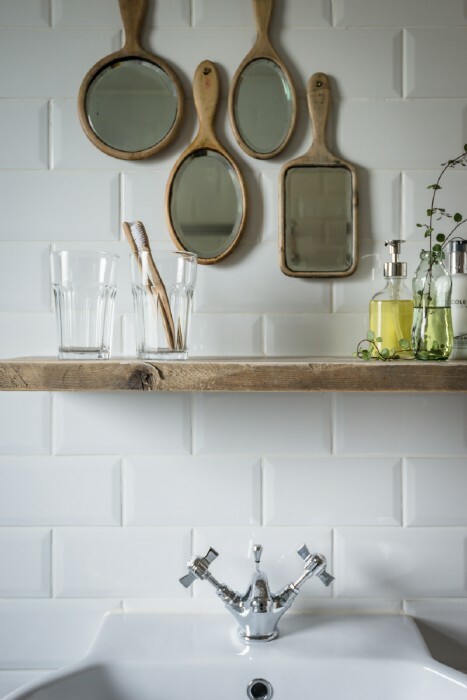 The chosen style embodies a lifestyle that is all about kicking back and living at one with nature. The property is located on a steep cliff and set within large Monterey pines and and numerous ever changing flowers that give the property a secluded feel. You are though only a short walk from the village. 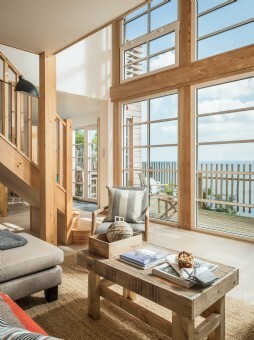 The view is mesmerising and every room has floor to ceiling French doors or windows. 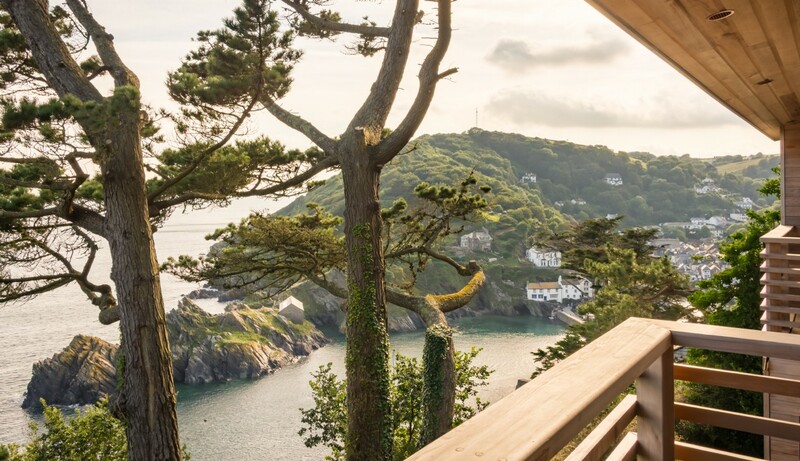 Discover places to see and things to do whilst in and around Polperro, Cornwall to truly enhance your stay come rain or shine! 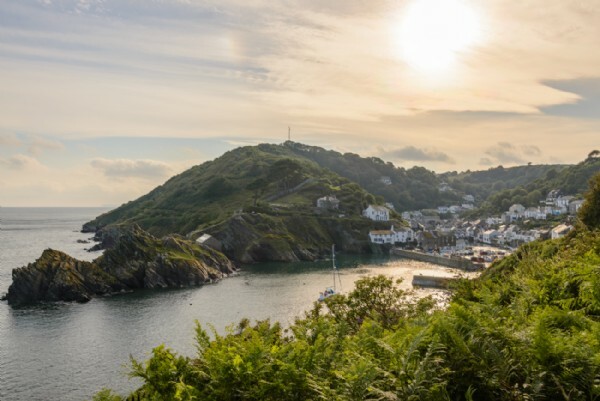 Nautical History Polperro is just south of Looe and steeped in tales of Cornish smugglers. Step back in time and explore the local ancient seafaring history of the nearby towns and villages too. 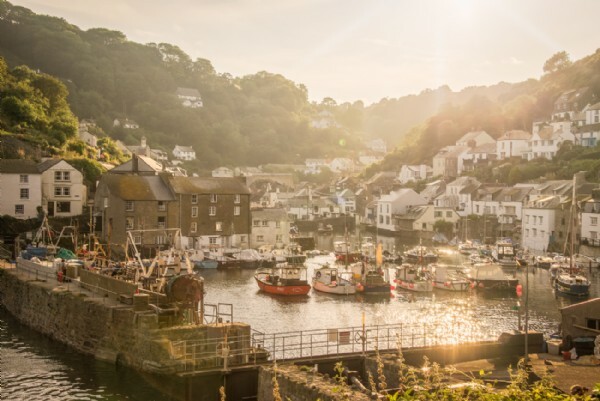 Charlestown is a quaint harbour village famous for its collection of tall ships, whilst Gorran Haven and Mevagissey are also well worth a day trip. 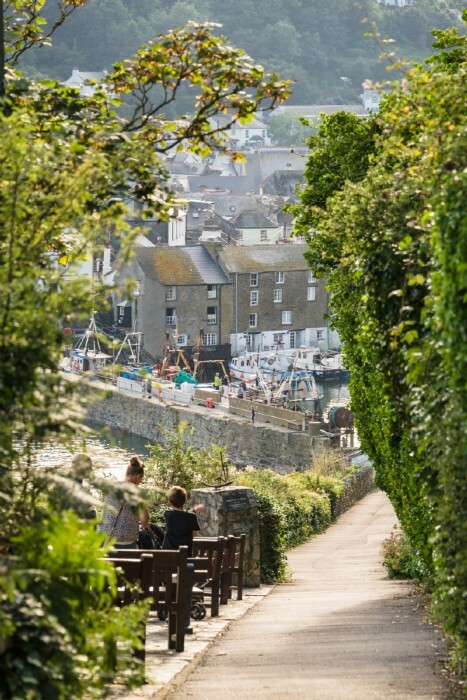 Boat-Hop to Fowey If you're a fan of Padstow then you will love her south-coast sister, slightly quieter and lesser-known, but equally as charming. 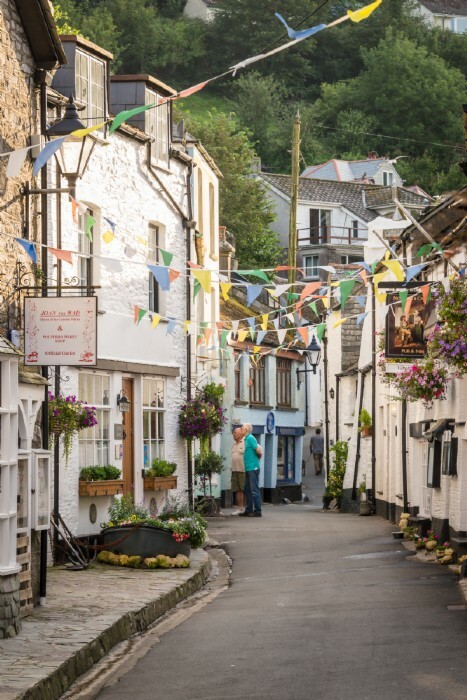 Accessible via regular ferries, Fowey has a pretty port along with pastel-hued cottages, friendly pubs and independent retailers. The owner highly recommends visiting St Catherine's Castle in Fowey too, owned by the English Heritage. 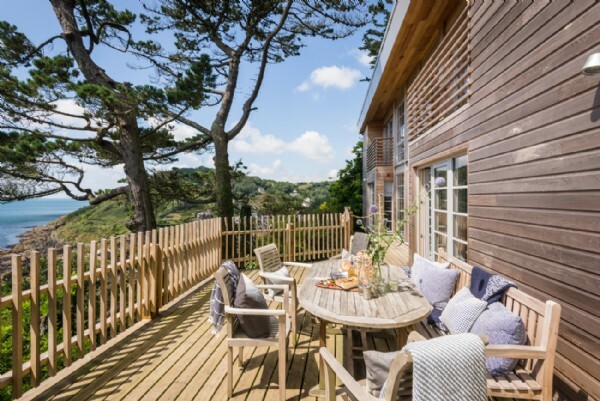 Country Houses and Gardens If beautiful gardens are your passion then you must visit the world-renowned Eden Project and the mysterious Lost Gardens of Heligan, with 200-acres of magnificent flora-filled creations. Lanhydrock is a spectacular Victorian country house set within a wooded estate, offering a fine day out for families of all ages. 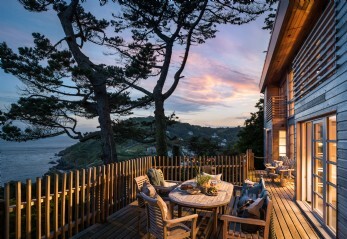 The Cornish Riviera Cornwall's pretty south coast has long been dubbed the 'Cornish Riviera' due to its verdant landscape, sheltered coves and crystal clear waters. In summer the bustling fishing villages can become hot spots for visitors, so embark on an adventure to discover the lesser-known areas. 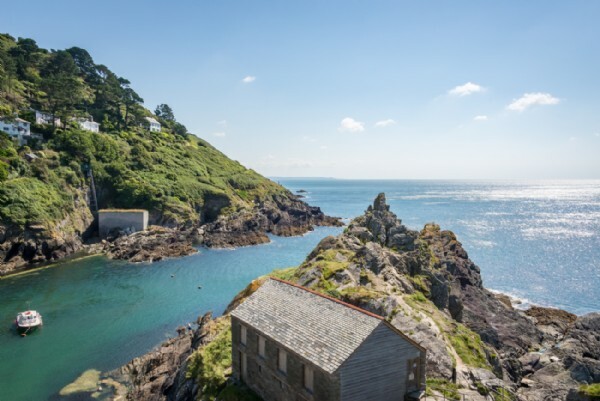 Nearest Beaches The property is just a short walk from the cove at Polperro, with a large sea pool perfect for swimming in. 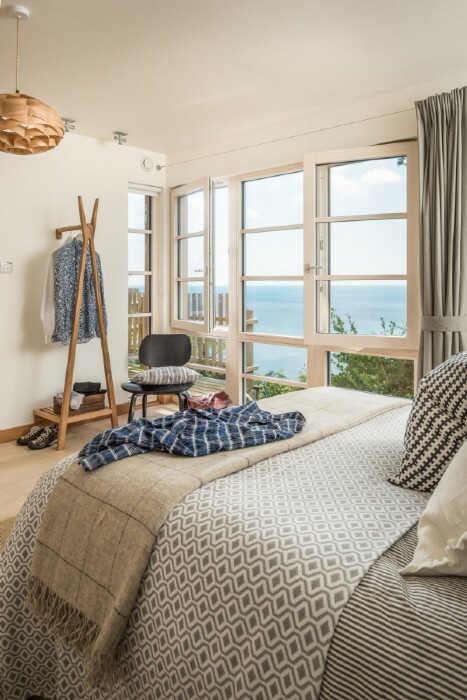 The nearest beaches to the house lie at Talland Bay in Looe (four miles away) and then there's the two sweet beaches of Portwrinkle (15 miles away) which lead on to the well-known Whitsand Bay with its three miles of golden sand. 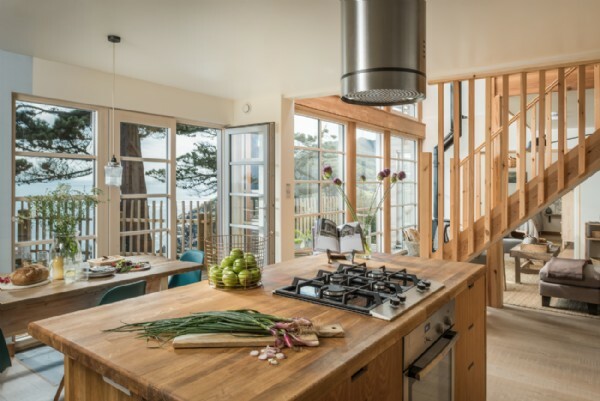 The open plan kitchen-dining area looks out over the ocean, meaning cooking should be a long and loving affair. 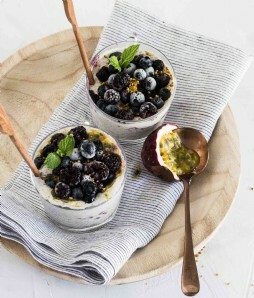 Cornwall's clean seas and fertile land produce some of the freshest food you'll find anywhere in the UK. 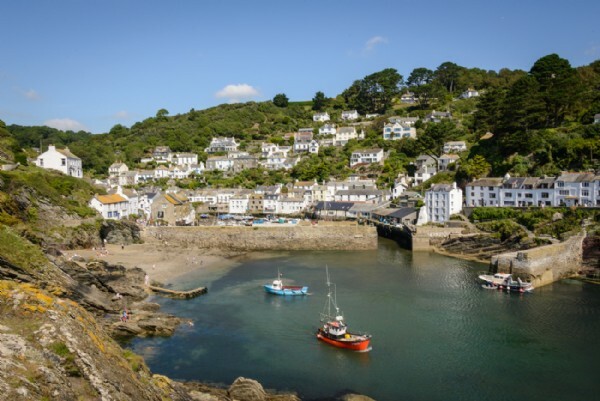 Polperro News in the village has all the essential supplies and you'll find a good farm shop, fish mongers and bakery in Looe (as well as that all-important Cornish pasty shop!). 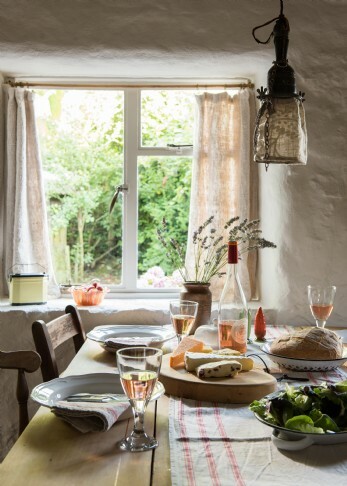 Just a short stroll into the village will take you to House on the Props, serving delicious homemade cakes and crab sandwiches. 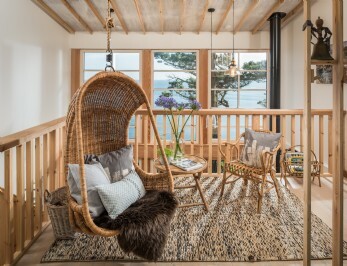 The Blue Peter Inn is your nearest pub (charmingly authentic and with live music on some evenings) whilst The Old Sail Loft in Looe offers a more sophisticated menu, reputed to be a former haunt for smugglers of the 16 century!